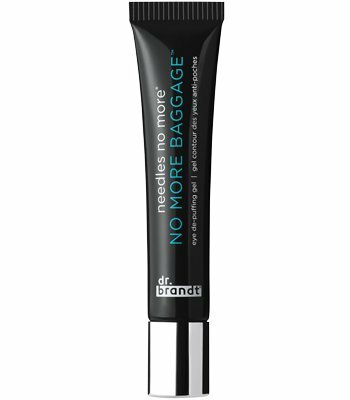 A needle-free solution that instantly minimizes under-eye bags, puffiness, and dark circles while providing long-term results. Within minutes, this advanced formula provides a tightening effect and smooths the under-eye contour to visibly reduce the appearance of under-eye bags and dark circles for an immediately brighter, well-rested look. It also works over time to renew the under-eye area for a consistently smooth and improved appearance. Founded by Dr. Frederic Brandt, a visionary in the world of cosmetic dermatology, dr. brandt skin care, aims to bring Dr. Brandt's skin-changing science to at-home treatments. Each product is carefully researched, and developed using The Brandt Method, a proprietary means of bringing together the expertise of an advisory board of forward-thinking experts, as well as an exclusive partnership with The University of Miami's Department of Dermatology and Cutaneous Surgery-ensuring that dr. brandt skin care is always at the forefront of groundbreaking findings. If you have any questions about this product by dr. brandt, contact us by completing and submitting the form below. If you are looking for a specif part number, please include it with your message.